How can I calculate implied odds? - Casino Answers! 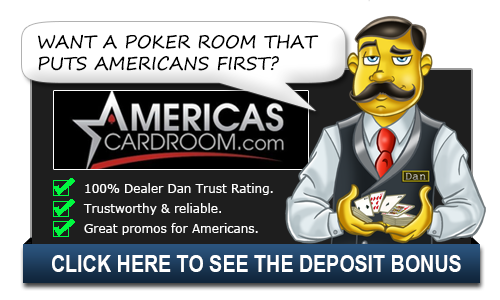 Casino Answers » Poker » Poker Odds » How can I calculate implied odds? How can I calculate implied odds? Implied odds are an important concept to grasp if you want to become a successful poker player. The implied odds are an extension of pot odds that help you decide whether or not you should call a raise. This requires an understanding of your opponent as well as the situation. It’s not necessarily about how much money you could make by calling this raise, but how much money you will be able to extract from your opponent if you hit your draw. A description of what we mean by this and how to do it yourself is below. First, calculate your pot odds. Pot odds are the odds that the pot is laying you to call a bet. For example, if there are 300 chips in the pot, and your opponent bets 100 chips, then you’ll be putting in 20% of the total value of the pot (100 chips into a 500-chip pot). You can call if your pot equity is greater than 20%. Any time you consider your pot odds in order to make a decision about whether to call or fold, you should also consider your implied odds. Implied odds represent the money that will go into the pot after you catch your draw. The problem with this is that you don’t always know how much money your opponent is willing to put into the pot. Sometimes he is bluffing and will fold to any bets from you. Other times, he’ll give you his whole stack. Fortunately, there’s no guesswork required. Calculating your implied odds accurately is relatively simple. First, look at the size of the pot after calling. Second, multiply the size of the pot times 0.6. This reflects the size of your bet on the next street. If your opponent is aggressive, use 0.8 instead. If he is passive, use 0.4. Third, add this value to the size of the pot and calculate your pot odds again. For example, if there are 300 chips in the pot, and your opponent bets 100 chips, and he is aggressive, your pot odds are 1 in 5, but your implied odds are more like 1 in 9, so you can profitably call with a lot of hands that you would have folded because you have a more accurate representation of the reward of calling. Essentially, implied odds can supersede pot odds when the situation is correct. You can use pot odds to decide whether to call a bet after you have calculated the pot odds. Implied odds and pot odds are things that you figure out as you go along. The more poker you play, the greater your understanding of them will become. They are a relatively simple concept, but can take a bit to grasp. Learn the pot odds, then learn the implied odds and go from there. Poker is a game that can take a lifetime to master the ins and outs, no need to rush it. Why not go and master these skills with some freerolls over at Fortune Poker? It’s a good start.